Michael Kors Collection's pants are a feminine alternative to your favorite classically tailored pair. 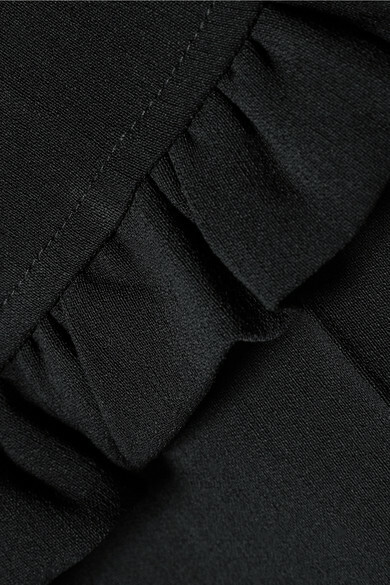 Made in Italy from wool-blend crepe, they're designed to sit at the hips and fall to a straight-leg silhouette that's defined by neatly pressed creases and finished with a flouncy ruffled trim along the hem. Style yours depending on your plans - wear them with a shirt and pumps to the office, or a tee and low-heeled mules to lunch. 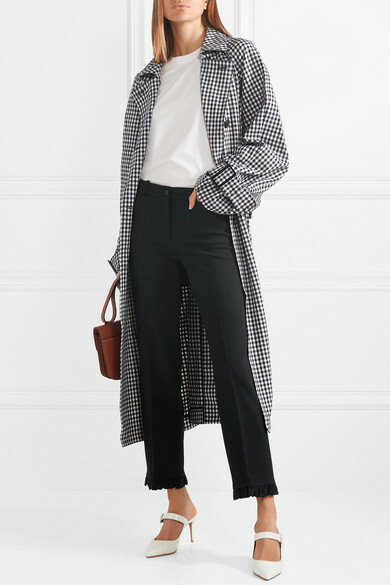 Shown here with: Victoria, Victoria Beckham T-shirt, Tibi Trench coat, Hunting Season Shoulder bag, Aquazzura Mules, Jennifer Fisher Ring, STONE AND STRAND Necklace.